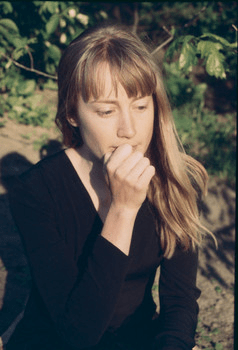 Tamara Lindeman IS The Weather Station | MUSICAlive! Tamara Lindeman IS The Weather Station. But it’s a different Station than it used to be. “I originally started with (the band name) The Weather Station because I was making experimental music that wasn’t at all singer-songwriter, and I did play with a band; more of a sound collage. And because I’m known with that name, I stuck with it.. . .
And changed up her sound to something more akin to what Cowboy Junkies were doing, sound-wise. On album, at least: as a singer/songwriter, Tamara is used to the solo-performance presentation of her creations. Hence, the need for a Live Music Writer to investigate this unique experience, and present it’s multiple expressions for your reading thrall. The Weather Station (and The Bahamas) are touring Western Canada and the U.S. with her new EP of thematically linked songs: a sensuous 12” 45 rpm on vinyl, I might add. “It’s just this little release: I have a full-length I’ve been working on. This is just something to bridge the gap, and we really liked some of the songs and wanted to make this little release. “I met some people in North Carolina who said ‘Why don’t you come record with us?’ And I did, and it was really awesome. I couldn’t believe how good it sounded. September 15th – Philadelphia, PA – Boot and Saddle; 17th – New York, NY – Le Poisson Rouge; 18th – Washington, DC – DC9; 19th – Carrboro, NC – Cat’s Cradle; 21st – Atlanta, GA – The Earl; 22nd – Nashville, TN – High Watt. October 16th – Victoria, BC – Alix Goolden Performance Hall; 17th – Vancouver, BC – Vogue Theatre; 18th – Kelowna, BC – Habitat; 20th – Calgary, AB – Knox United Church; 21st – Edmonton, AB – McDougall United Church; 22nd – Saskatoon, SK – Broadway Theatre; 25th – Minneapolis, MN – Triple Rock Social Club.